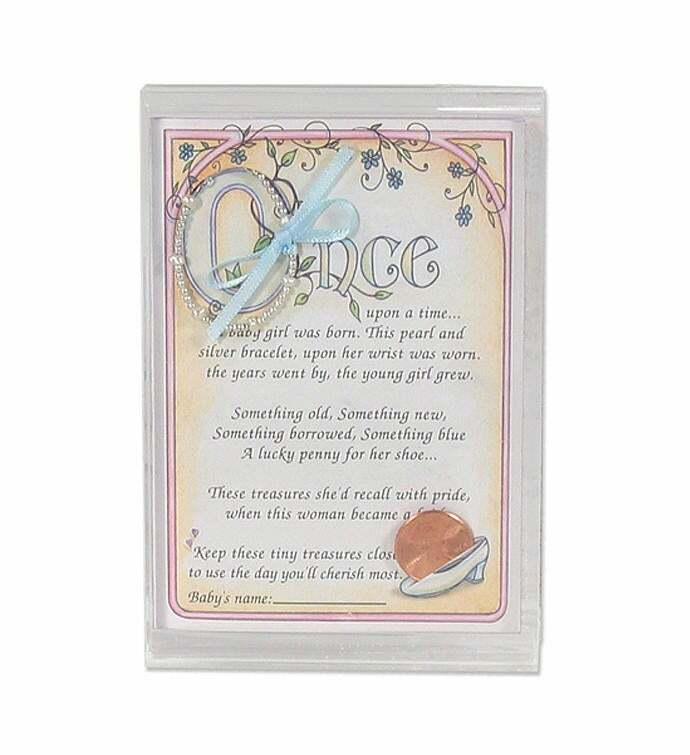 A perfect keepsake gift, the Baby to Bride Bracelet set, complete with a penny and framed poem, is filled with joy and nostalgia that will follow Mom, Dad, and Baby from her earliest moments to the happiest day of her life. 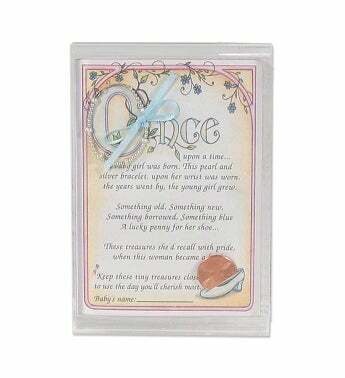 Once upon a time... a baby girl was born. This pearl and silver bracelet, upon her wrist was worn, the years went by, and the young girl grew. Something old, something new, something borrowed something blue, a lucky penny for her shoe. Sterling silver and fresh water pearl bracelet comes with acrylic frame.